CultureMajor EventsEventsDoesn't God dwell here anymore? 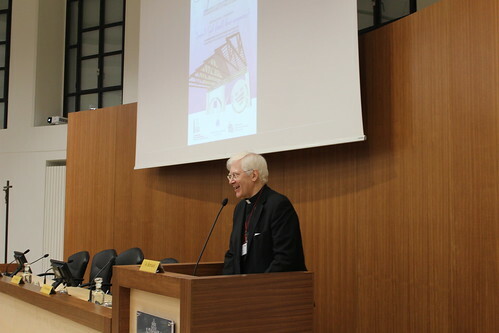 During the European Year for Cultural Heritage 2018, the Pontifical Council for Culture (Department for Cultural Heritage), the Italian Episcopal Conference – Ufficio Nazionale per i beni culturali ecclesiastici e l’edilizia di culto and the Pontifical Gregorian University – Facoltà di Storia e Beni Culturali della Chiesa – Dipartimento dei Beni Culturali della Chiesa organized a two-day international conference. 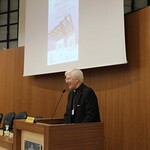 The first day was dedicated to the serious and urgent matter of the decommissioning of churches and their new use. On the second day attention was given to the management and promotion of the ecclesiastical cultural heritage as a diocesan pastoral activity. While the mornings of the conference were open to all, the afternoons were reserved for exchange between delegates of the Episcopal Conferences of Europe, North America and Oceania on issues of shared concern.These countries face similar social conditions and share analogous problems in the management of cultural heritage. The Acts of the Conference are being prepared. A videoplaylist is available here.